Welcome to Cameron University, where we are dedicated to the educational, cultural and economic advancement of the communities we serve. The 2018-2019 academic year brings excitement and exceptional learning opportunities to Cameron students as well as to the citizens of Southwest Oklahoma and beyond. This year, in keeping with Plan 2023: Ambitious Goals for Growth, Innovation and Engagement, our five-year strategic plan, we will continue our focus on student learning and student success with initiatives to improve persistence and degree completion rates while maintaining or increasing already high academic standards. 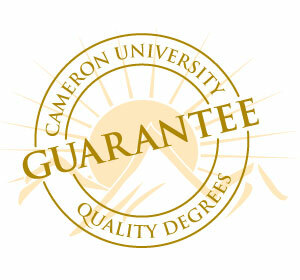 Cameron University provides student-centered learning opportunities with highly qualified faculty at an exceptional value. 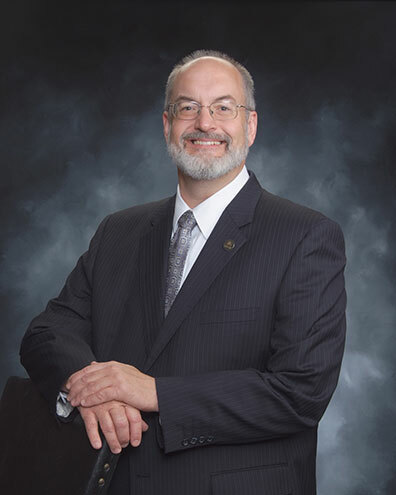 Student Centered Learning: Cameron University assures that high school graduates and transfer students have the opportunity for a college education, and improving the prospective student experience is a priority. New and prospective students can find out more at the Welcome Center in the Shepler Center and at OneStop in the McMahon Centennial Complex. Academically, we continue to improve student learning and success. We match student preparation and skills with appropriate course placement to provide a better chance for success as students enter Cameron University. Cameron is continuing two initiatives, “Graduation Starts Today” and “We Want You Back,” which give every Cameron student the best possible opportunity to complete the degrees or course packages they have chosen. For students on our Duncan campus, we are increasing opportunities for participation with the completion of additional labs and classrooms for use this year. Cameron is continuing our successful partnership with Great Plains Technology Center in the area of respiratory care and radiologic technology to help meet regional healthcare needs. Cameron University also partners with Western Oklahoma State College and the University of Oklahoma to provide nursing degrees at our Lawton campus, and with Oklahoma City University to do the same at our Duncan campus. During 2018-2019 Cameron will conduct feasibility studies regarding potential new degree offerings as well as additional training and athletic opportunities. Outstanding Faculty: Cameron is committed to providing quality instruction with a focus on student learning. Our faculty are front and center in the classroom and in laboratories. Almost all classes have fewer than 40 students and typical class sizes are less than 25. Small class sizes lead to increased learning opportunities and active participation. We prioritize the growth and development of our students, faculty and staff in a learning environment based on integrity, respect, and ethical behavior that encourages and provides opportunities for professional improvement. Exceptional Value: Cameron is dedicated to maintaining quality learning experiences for a modest financial outlay by managing costs and by providing outstanding opportunities for financial assistance. Cameron remains an excellent value. In fact, we have been ranked as one of the 10 most affordable small colleges in the U.S. in a recent national report. Thanks to the support of donors in our community, Cameron has increased scholarships and tuition waivers. We encourage you to take advantage of this opportunity by visiting our Scholarship Application Portal. Cameron continues to provide personalized financial updates to student borrowers as well as additional counseling and financial information. We have added a financial resource specialist to the Cameron staff who will identify and assist with student applications for internal and external financial resources. Throughout Cameron’s website, you will find information about academics, athletics, student activities, campus life, cultural events, and more, providing you with a glimpse of what our university has to offer. I invite you to visit our campuses in Lawton and Duncan or contact us by telephone or email to explore the numerous opportunities that Cameron provides. Don’t forget to follow us on social media to keep up with all the exciting things happening at Cameron. Additionally, we now offer two handy mobile applications: the Cameron University app will allow you to connect to University services and resources as well as providing useful information for Cameron visitors and guests, and the Cameron Aggies Gameday app to help you stay up to date with all our exciting athletic teams. Thank you for visiting our website, and I hope to see you on campus soon.